Central dopaminergic transmission has been implicated in memory processes. The present experiments examined the effects of several direct acting dopaminergic agents on performance of a delayed-non-match-to-sample radial arm maze task. 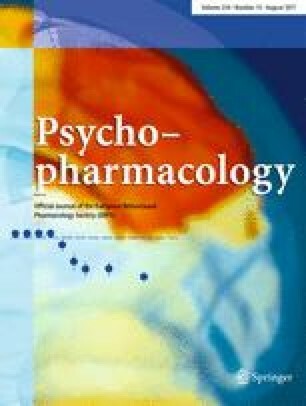 Preadministration of apomorphine (D1-D2 agonist; 0.25, 0.5, and 1.0 mg/kg), quinpirole (D2 agonist; 0.1 mg/kg), or SKF38393 (D1 agonist; 3 mg/kg) increased the latency of choices but did not affect any index of accuracy with a 1 h retention interval. Post-training administration of quinpirole (0.1, 0.2, 1.0, and 2.0 mg/kg), SKF38393 (0.3, 3.0, and 6.0 mg/kg), sulpiride (D2 antagonist; 3, 10, and 30 mg/kg), or SCH23390 (D1 antagonist; 0.01, 0.1, and 1.0 mg/kg) also did not affect accuracy, although quinpirole produced a dose-dependent increase in the latency of choices, assessed 10 h post-treatment. For comparison, pretraining and post-training administration of the benzodiazepine chlordiazepoxide (1, 3, 5 mg/kg) was also tested and produced dose-dependent impairments in mnemonic performance at either a 1 or 4 h retention interval. The effects of chlordiazepoxide are consistent with evidence indicating that GABAergic agents can influence memory processes. In contrast, the present findings indicate that (peripheral administration of dopaminergic agents IS) not sufficient to alter the mnemonic processes required for accurate performance of this DNMTS-RAM task.